Without revealing a secret, we can feel that the present General Congregation will not proclaim a large number of decrees. There will at least a few! Every decree has its own genesis. It begins with a need or a question experienced by many Jesuits. In December 2014, the Congregation was convoked and the process of preparation began. Provincial Congregations produced many postulates that were sent to Rome. 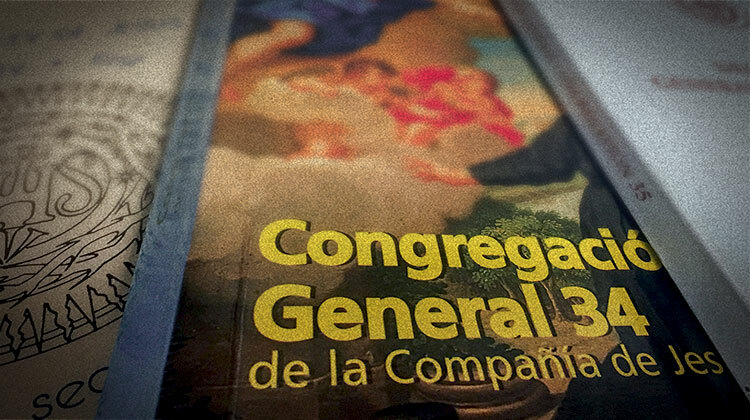 According to the revised Formula of the General Congregation, commissions were created and begun to work on the postulates. They had the task of preparing working documents or proposals to help the plenary session of the Congregation, which is currently at work, to quickly get to the core of its labour. Some of the topics had to be studied by the Juridical Commission whose Chairperson, Fr. Benoît Malvaux, has already talked about (see ____). When the drafting group reconvenes, it starts the work of integrating the proposals and producing a second draft. When they are happy with the new text it is sent for discussion in the plenary session. Once again amendments can be made, adding or changing words or expressions, eliminating phrases or shortening some sections. These amendments will be voted on and finally the entire decree will be accepted. During the last Congregation, one of the delegates concluded: “My experience is that human language is an extremely sensitive instrument which expresses thoughts, convictions and beliefs in a manner that allows people who are coming from very different cultural contexts to agree on a common solution to Jesuit worldwide concerns.